The first step to finding an affordable house should be to work out a target budget. The Wall Street Journal currently recommends spending no more than 28% of monthly income on your house). 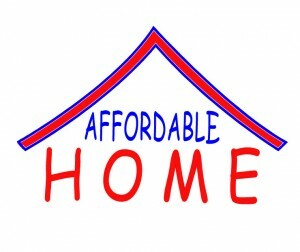 Make sure to include additional fees such as legal fees, repairs, maintenance, and closing costs in your calculation. The bottom line you come up with isn’t one set in stone, but it’s a reasonable goal to have in mind. Space will be a prime consideration for the entire time you’ll be living in your home. If you are planning on expanding the family in the near future, having a spare room is close to a necessity. If it’s just something that would be nice to have, it’s not a requirement—and recognizing the distinction can be all-important. Often you can offset the purchase price of a home by expanding your search radius to include a reasonable commute. Get out your pencil: you’ll need to compare the savings in the house payment against the additional cost of an extended commute. One of the best ways to zero in on an affordable house in Sapphire is to keep an eye out for otherwise-eligible “fixer-uppers.” You can avoid any serious structural problems, such as plumbing, electrical, and roof issues, yet still focus on properties that just need a little cosmetic revamp can put you across the affordability finish line. In a limited number of instances, there are some generally underpublicized home buying programs that might be available. For instance, there is the Good Neighbor Next Door program. For teachers, medical professionals, firefighters, and law enforcement officers looking in revitalization areas, as much as a 50% discount from a HUD-listed property can make a house more than affordable! Most observers believe residential prices are likely to continue to rise—so it’s not outlandish to suspect that today’s Sapphire affordable houses may become less so as time passes. Give me a call if you are thinking of taking advantage of this winter’s bargains in our area.